Heat oven to 375°F. In small bowl, mix melted butter and garlic powder. In 15x10x1-inch pan, brush 12x8-inch area with half of the melted butter mixture. Unroll and press 1 can dough over melted butter mixture. If using crescent dinner rolls, press to seal seams in dough. 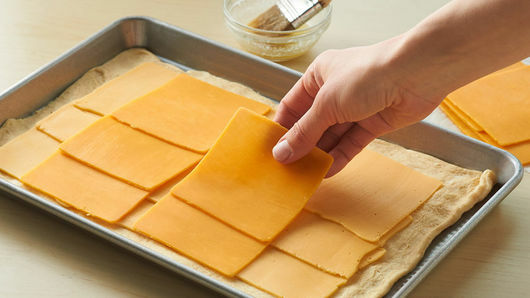 Layer American and Cheddar cheeses onto dough, leaving 1/2-inch border around edges. 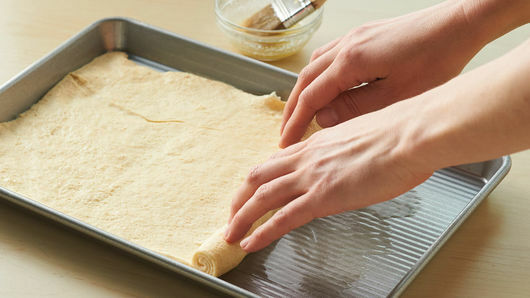 Unroll second can of dough, and place over layered ingredients, stretching to cover filling. 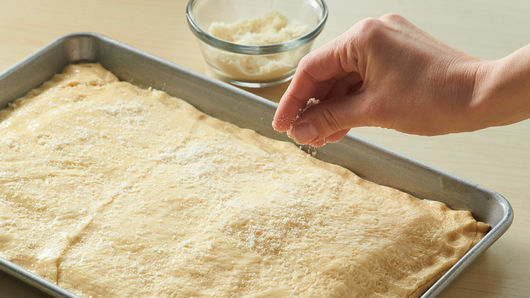 If using crescent dinner rolls, press to seal seams in dough before stretching. Press edges to seal, and brush with remaining melted butter mixture. Sprinkle with grated Parmesan cheese. Bake 20 to 23 minutes or until deep golden brown. To serve, cut into 4 rows by 4 rows. Top with tomato halves. Get creative with your favorite cheeses, and make a customized grilled cheese. Other cheeses to try include pepper Jack or Colby Jack. 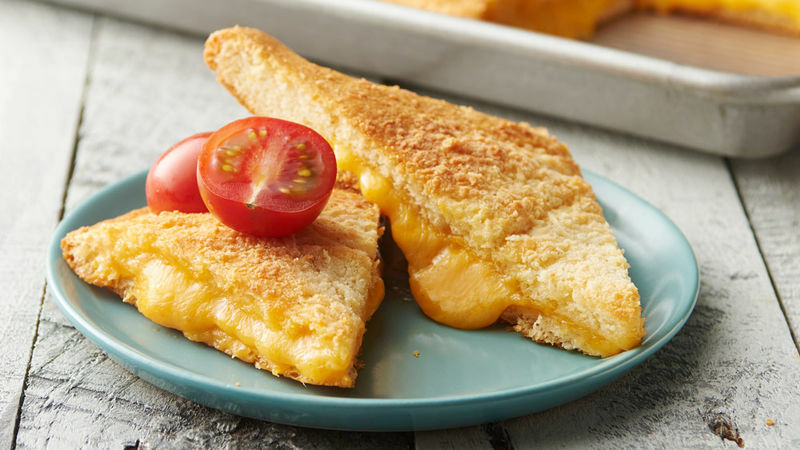 Serve with a bowl of tomato soup for the entire grilled cheese and tomato soup experience!